Home > Gift Aid > Gift Aid for Charity Donors: What Do I Need to Do? A large proportion of the British public makes charity donations, either regularly or on an ad hoc basis. Indeed, charitable donations from UK residents have made a significant contribution to important causes around the world and close to home. The government recognises the importance of the voluntary sector, and politicians from across the political spectrum have stated their wish to increase donations to charitable causes. Gift Aid has been instrumental in boosting the power of each individual’s donations, without taking more money out of your pocket. Under the Gift Aid system, charities can reclaim the tax that you would have paid on your donations. If you are a UK taxpayer, the charity to which you donate can claim back from HM Revenue and Customs 28 pence for each pound that you give. Broken down, this means that they can get back the amount that you paid in income tax (assuming that you are a basic rate taxpayer), plus so-called ‘transitional relief’ designed to make up for the reduction in the basic rate from 22 to 20 per cent. 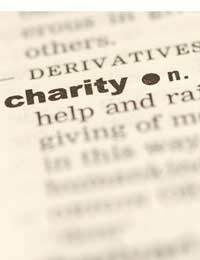 Many charities rely on Gift Aid for their survival. In a world of ever-increasing costs, an increasing number of good causes would suffer significantly if Gift Aid were no longer available. How do I ‘Gift Aid it’? Although the majority of UK charity donors are aware of the Gift Aid system, many seem to think that their donations will automatically fall under the scheme’s remit. In reality, there are several hoops through which you must jump in order to ensure that the charities to which you donate can get the full power of your cash. To begin with, you must be a UK taxpayer – and you must pay as much in tax as the charities will reclaim in Gift Aid. As it currently stands, this means that you must pay at least 28 pence in tax for every pound that you donate under Gift Aid. Crucially, the tax must also be paid in the same tax year. You may be asked to make up the difference by HM Revenue and Customs if you fail to fulfil this requirement. Furthermore, you must also sign a Gift Aid declaration at least once for each of the charities to which you donate. This often takes the form of a tick-box and signature at the foot of a donation or Direct Debit form; one declaration will be enough for all donations to that charity. You must also inform the charity if you will no longer be paying sufficient tax for further donations to be eligible for Gift Aid. The Gift Aid system is vital for many UK charities, the majority of which rely on public donations to keep their doors open. It is a remarkably simple system, but it is important that you fulfil the requirements if you choose to participate. Gift Aid means that good causes get the money they deserve – so, where possible, make sure that you authorise charities to reclaim the tax on your donations.